--- News from a few days ago: it turns out that Vesta has a lot of hydrated materials on the surface (H2O or hydroxyl), a surprise in a way but also not considering how many other discoveries of this type we are making: some asteroids have water ice, others have hydrogen, and all this is potentially useful for future exploration. We now have so much data on Vesta to sift through that the next year or two should teach us a few more interesting things about this protoplanet even though Dawn has since left. 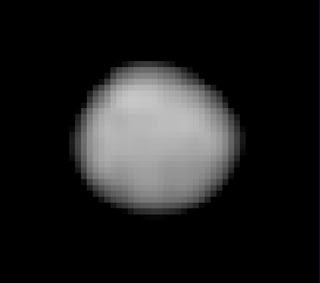 --- Another other massive denizen of the asteroid belt, Pallas, is making its closest approach to Earth this week. This asteroid is about the same size as Vesta and thus is another more-protoplanet-than-asteroid-type body, but also has a terrible inclination making it a very difficult target to visit. This recent image of Pallas was taken in September 2007 when it was at a distance of 2.3 AU, and closest approach this time will be an even closer 1.96 AU. Hopefully we will be imaging it this time as well - the results from the 2007 observations can be read here. --- Warp drive: it turns out that an Alcubierre warp drive could be powered using a mass of only a few thousand kilograms, instead of a mass equivalent to that of Jupiter. Much better. This theoretical drive would be able to "move" a spaceship up to ten times faster than the speed of light, which would put Alpha Centauri within five months' distance but still leave us limited to our sun's neighborhood: anything a few hundred light years or more would take a full generation just to arrive. Such a drive would actually be most useful (and most used) in exploring our own solar system, though unmanned probes to other systems would also find it useful. Being able to travel faster than the speed of communication is also an interesting thought: a probe designed to travel to Alpha Centauri for example might have a smaller communications probe attached to it that would separate and fly back to where we are in order to bring us preliminary observations of the system so that we would only have to wait months to first find out about it, instead of 4+ years.